Maximise your health and fitness goals! Studies show that a diet that includes high protein and low fats with lean meats such as beef and poultry are renowned for increasing our happiness and overall health. As your Online Butcher of choice, Cheshire Foods have you covered! Health conscious carnivores in the world today, have taken the healthy approach to their meats. Lean meat is a common term used in dietary advice, and yet there are still some common misconceptions and confusion around what they actually are, and why they are so beneficial for our diets. We know that lean meats are the ideal source of protein, and as well as that, the amount of calories that they contain is substantially lower than non-lean meats. This means that they are the perfect diet choice for those of you who want to watch their calorie intake, and work to achieve their ideal body and achieve great overall health. As well as this, lean meats such as chicken are an excellent source of selenium, and vitamins B3 and B6 and Choline. The importance of Choline is very high, because this miracle compound is essential in maintaining high levels of nerve function and can even reduce inflammation. So what are lean meats exactly? If you are concerned about health and fitness today, even if you aren’t a major gym goer, you will probably still find it useful to consider mostly lean meats in your diet. Because, after all, proteins are life’s building blocks, and this is why they get so much attention in dietary advice. Lean meats are all about, in a nutshell: maximising your protein intake. For each 100g of chicken breast you consume, 27 grams will be protein. This is a very high amount of protein, and so, understandably, chicken breast is very popular today in fitness fans diets. Beef is much the same, although it may differ slightly depending on the cut you eat. Rump steaks are great for a slightly higher protein intake. The thing about diabetes is that most people think of it mostly as carbs and sugar. But studies show that people who suffer from diabetes often die from heart diseases and other complications. Therefore, a healthy diet does not mean just cutting those carbs and sugars from it, but also watching out for the high fats, which some meats have high amounts of. And since we know that lean meats contain much less fat, this is important to note for diabetes sufferers. A study that RMIT university in Australia conducted, proved that if you eat lean meat, it can actual cause lower plasma cholesterol and contribute to an increase in your Omega 3 levels in your bloodstream. This can go back all the way to when our ancestors first ate a diet which was high in meat, before agriculture took off. 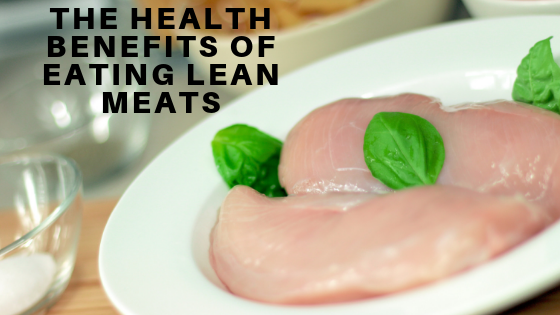 As an experienced and long time serving Online Butcher, we also know that lean meats are an excellent source of a very healthy dose of great vitamins and minerals too. They contain a lot of iron, which contributes to a good working bloodstream and overall good heart health, magnesium maintains bones, and zinc boosts the immune system – both which is found in high supply in lean meats. Red meats also contain high amounts of iron, zinc and vitamin B12, and white poultry contains Selenium, a fantastic immune-boost antioxidant, as well as, as we discussed earlier Choline (the nerve functioning wonder compound) and vitamins B3 and B6. So, there you have it folks. The benefits of eating beef, poultry and other lean meats cant be overstated! They are the perfect diet for health and fitness conscious eaters. And as always, don’t hesitate to get in touch if you have any questions! Post a comment below or send us an email!